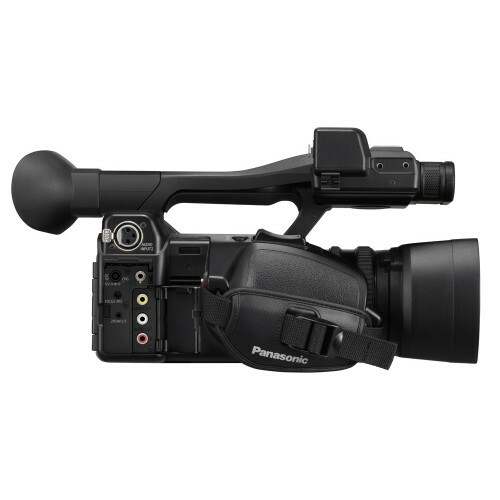 Panasonic HC-PV100 professional Camcorder is a Full High Definition Camcorder, suitable for professional video recording with its XLR mic/line inputs, 3 manual rings and 20x zoom lens and 300lx LED Video light. 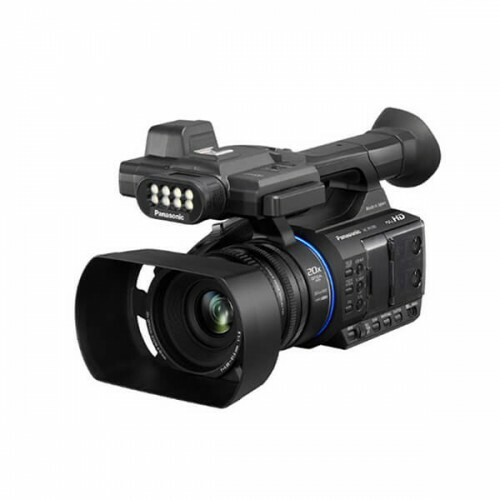 HC-PV100 is capable to shoot even in low-light by using its built-in LED light.Built-in LED Video Light HC-PV100 is well-made and comes with integrated 300lx LED Video Light. This light helps the camera man to capture the nightime scenes clearly and beautifully. It has diffusion filter which softens the light source, and a color conversion filter which converts the color temperature.Optical 20x Zoom By driving each of four lens groups separately, the drive ranges are reduced, resulting in high image quality and high-powered zooming, with a compact camera body.1/3.1 inch BSI Sensor HC-PV100 is designed with advanced BSI Sensor with 6.03M effective pixels. 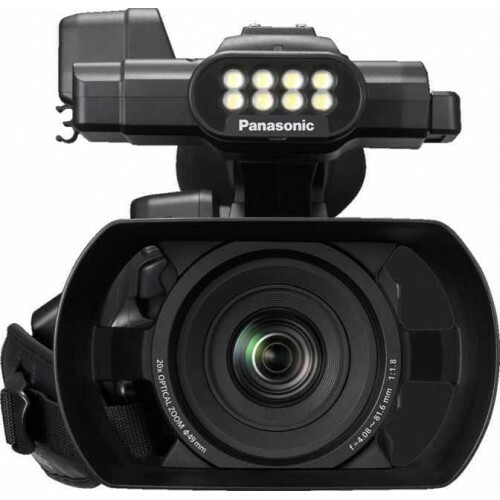 It helps to take high quality, beautiful and clear images in dark places and low-light conditions.5-Axis HYBRID O.I.S. + 5-Axis HYBRID O.I.S. 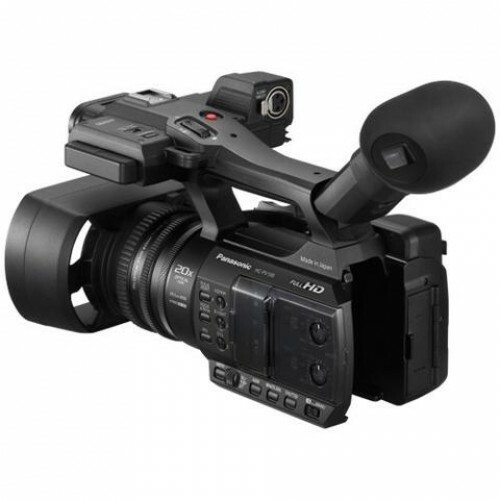 + allows to take sharp, clear images, without dull and blurring, in every shooting situation. It controls unclear and dullness in capturing footage from wide-angle to powerful zoom shots.Dual SD Card Slot When the first card becomes full, the system automatically and seamlessly switches to the second card. And Hot Swap Recording lets the user exchange the card while shooting. This means that recorded cards can be exchanged one after another with blank cards for endless recording.